Hidely Ho folks, well as you can see I’ve checked the list off from another Skyrim expansion that I’m yet to play with only one more to go, lol my brother even mentioned it sounds like an effort but really I did quite enjoy this one. 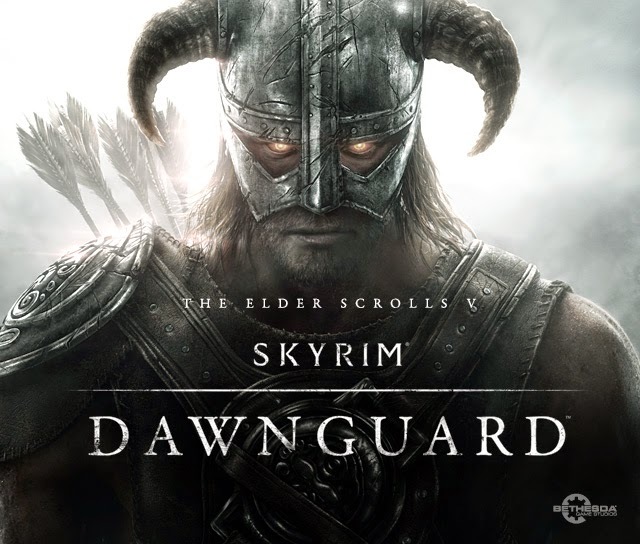 I had decided to do the Dawnguard expansion with my stealthy thief/rogue/archer/assassin type Falunar who I detailed the journey of earlier, for a few reasons one being he uses a bow so presumably he’ll be fine with Crossbows, the other being I would use my 2H warrior Brogan to do the Dragonborn expansion. I decided to go with Dawnguard because of the crossbows and I ain’t being no Vampire (maybe not this time) so I started the questline by finally accepting the Dawnguard in Whiterun’s proposal to join then headed way off to the most southeastern point of the map to Fort Dawnguard, except I wasn’t actually able to get there yet as it can only be accessed via Dayspring Canyon located in the snowy mists, east of Riften, near Stendarr's Beacon. 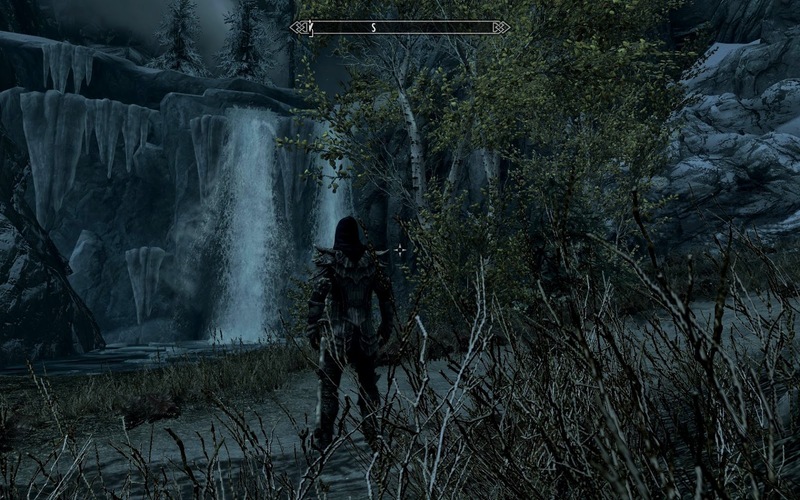 So I first headed to the Black Briar Lodge which is the closest place and after about 20 minutes of faffing around I eventually found the tiny entrance to the canyon where you meet Agmaer as a fellow recruit and eventually Isran who leads the Dawnguard. 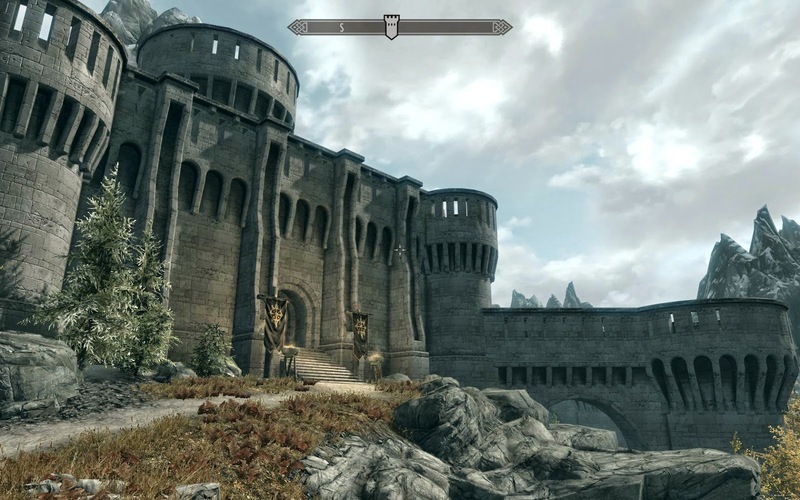 Fort Dawnguard is pretty cool there is a wealth of items for you to take without stealing obviously, it’s also a very well designed and intricate castle. I didn’t bother trying to find a bed for myself as I already had my own Riverside Lodge house near Whiterun, I just decided to jump straight into the quests. First of which I was commanded by Isran to Dimhollow Crypt to find out who destroyed the Hall of the Vigilant., I tried out the Crossbow I was given by Isran for a bit but soon after just used my Akaviri Dragonbone bow as it was more powerful, little did I know that crossbows were actually damn powerful but I’ll get into that later. 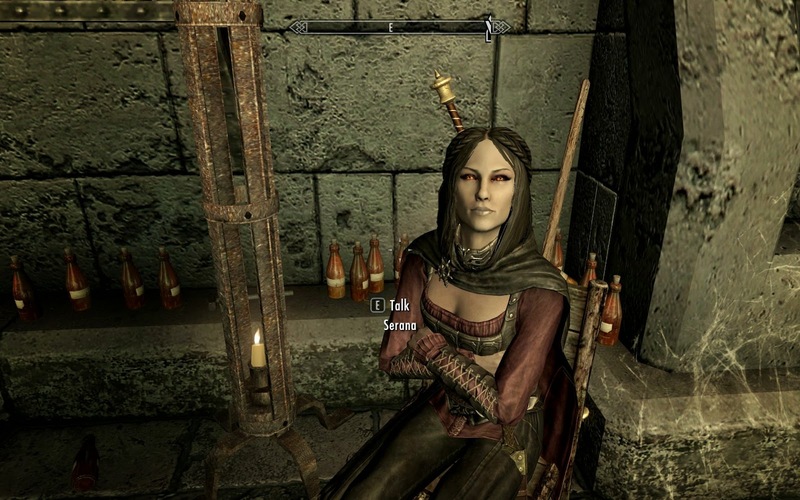 The lovely Serana, unfortunately she can't be romanced even if you decide to become vampire. But anyway we escaped the Tomb and then as much as I wanted to take her back to Fort Dawnguard I had no choice but to agree to take her (and the Elder Scroll) to her Father’s Castle Volkihar which is conveniently located on the extreme northwestern point of the map. Well I spose that makes sense both of the factions are located at extreme opposite ends to each other though with the amount of travelling you do back and forth between the two places it would take a year for the whole questline to pan out if done in real time, I do often wonder how long it would take you just walking in game. 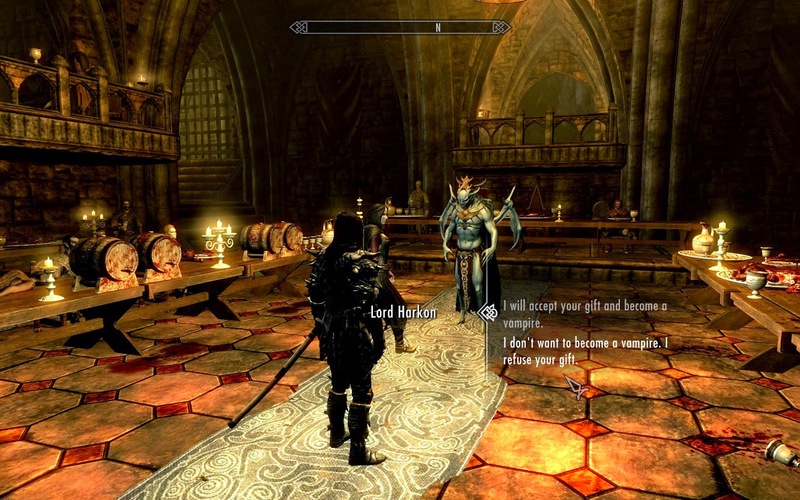 So we head off to Castle Volkihar and meet her Dad who is also a Vampire and he asks you if you’d like to become one, I said no of course and he then boots me back out to the boat I came in on. 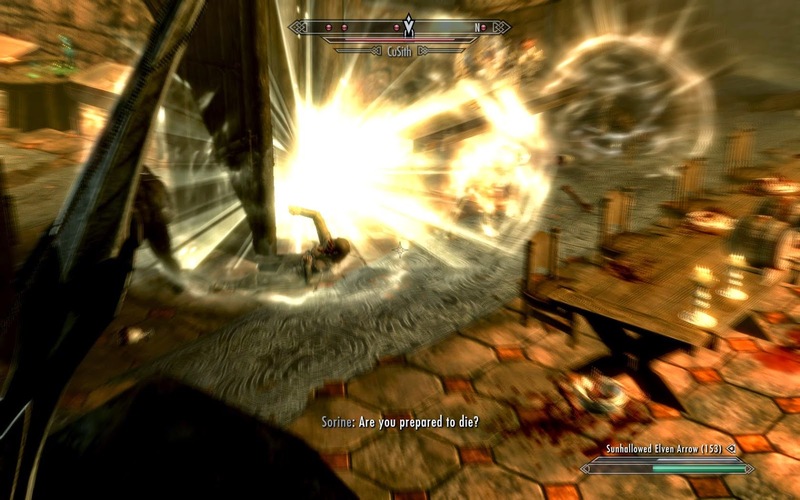 Isran hates vampires but he’s let her in anyway. He hasn’t even put her in a cell. She’s just standing in a bloody torture chamber which doesn’t have a door but obviously hasn’t been tortured. She doesn’t have any shackles or muzzle or anything. 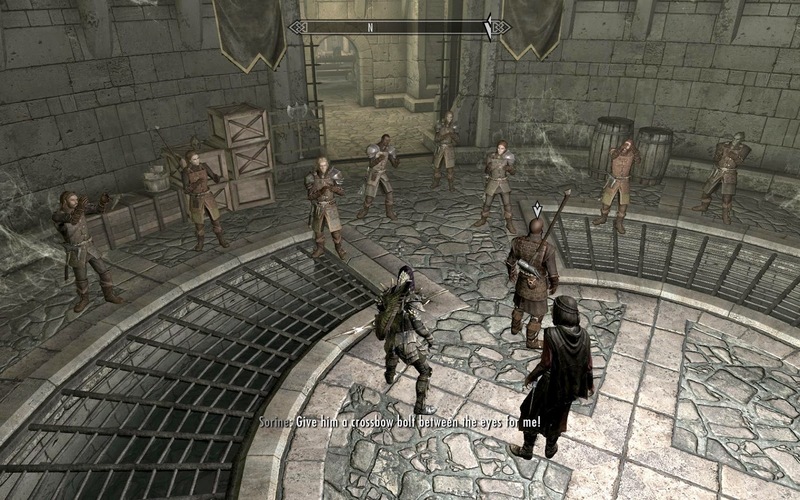 Isran just stands there plainly while talking and it’s just the three of us no other Dawnguard. 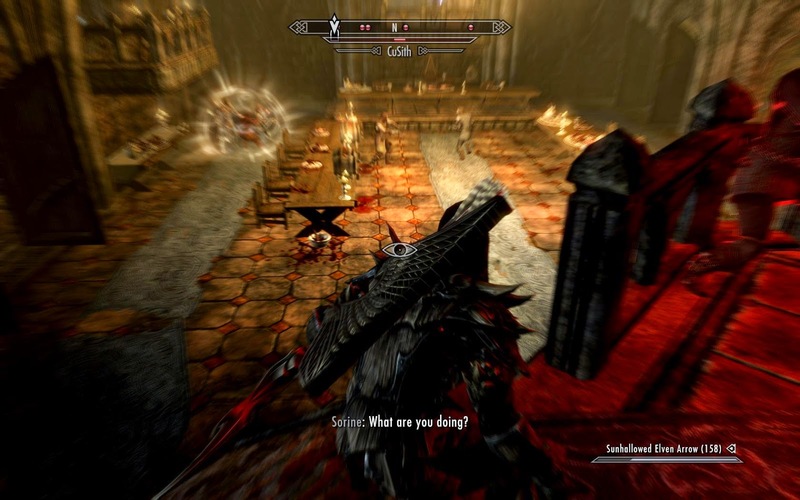 But anyway once that’s finished Serana and I have to find a Moth Priest to read her elder scroll and go on a few other quests to get the (Blood) Elder scroll which requires infiltrating Castle Volkihar discreetly this time and gain access to the Soul Cairn which is a pretty sweet looking place and is apparently where souls go when trapped by Black Soul Gems and is ruled by the Ideal Masters. 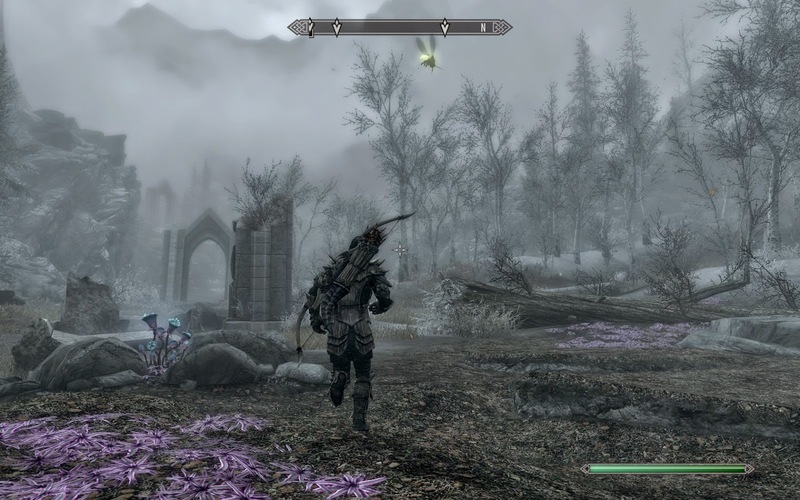 The quest here involves finding Serana’s mother Valerica and retrieving the Blood Elder Scroll. You can do quite a few things in the Soul Cairn, including other quests where you can acquire a Skeletal Horse, there’s also quite a few new features and objects in the Soul Cairn including fissures which allow you to fill Soul gems and teleporters which look like they spray up black ink. 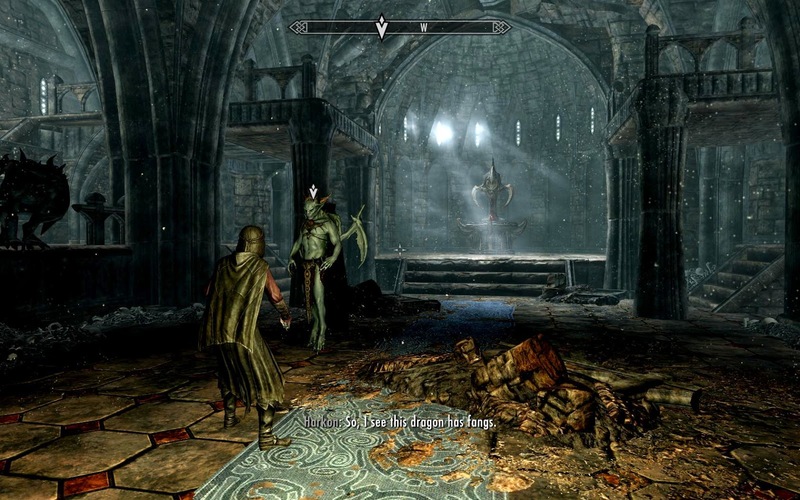 So we find Valerica then kill the Keepers, then get into the Boneyard where she is keeping the Elder Scroll but we end up having to fight Durnehviir who we make friends with in the end, though he gives you a shout to use when back in Skyrim so he can fly around Nirn again as he was tricked into banishment to the Soul Cairn and now his soul has attuned to the place. You then go to the magnificent Ancestor Glade and cover yourself with moths to read the Elder Scroll, then go on quite an epic quest to gain Auriel's Bow which is one epic weapon indeed. While doing this you meet one of the last Remaining Snow Elves: Knight-Paladin Gelebor who gives you a bit of history about how the Snow Elves are an endangered race of Mer that were once the main inhabitants of Skyrim long before Merethic Era and that centuries of underground living and Dwemer slavery twisted the race into the blind, merciless Falmer. 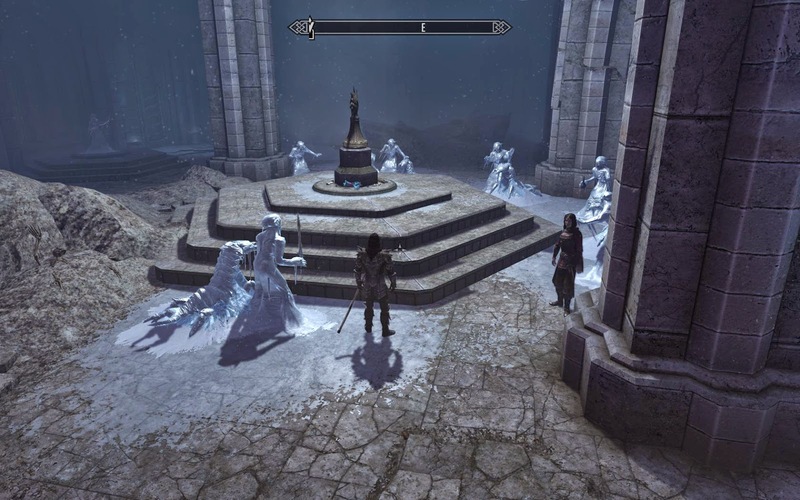 So anyway as I ran around this area killing falmer and finding the shrines and pouring water into the scared bowls to get to Auriel’s Chapel and confront Arch-Curate Vyrthur I was lamenting how long this questline was going for until I actually looked up the wiki and found this was the second last quest. The second last quest! And I hadn’t even tried to get some of the better crossbows yet, so I thought screw it there’s still time and dropped everything to go back to Fort Dawnguard and pick up some other quests. 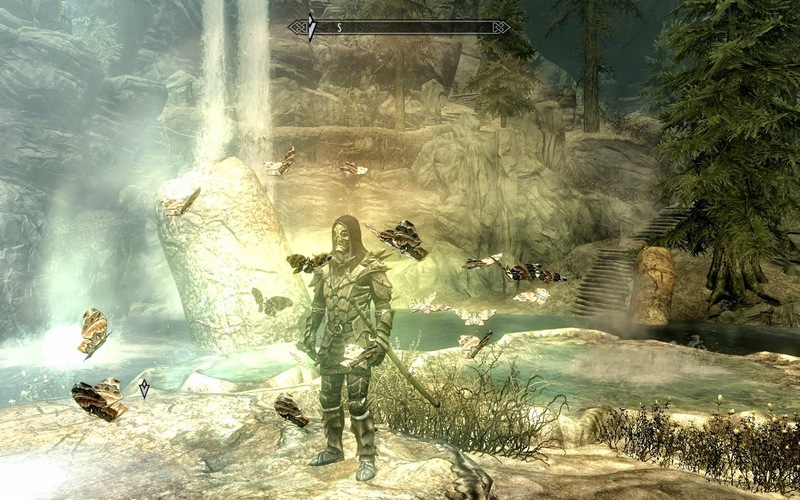 I did some radiant quests including killing a few hidden vampires (most of them were like this) and recruiting another Dawnguard Member though the ones I were most interested in was the Ancient Technology six-part series in which you recovered the plants for various crossbow and bolt designs for Sorine which you acquire as well. It was around this time that I actually looked up crossbow stats and explanations on the wiki and realised that the base damage of the normal Crossbow was 19! 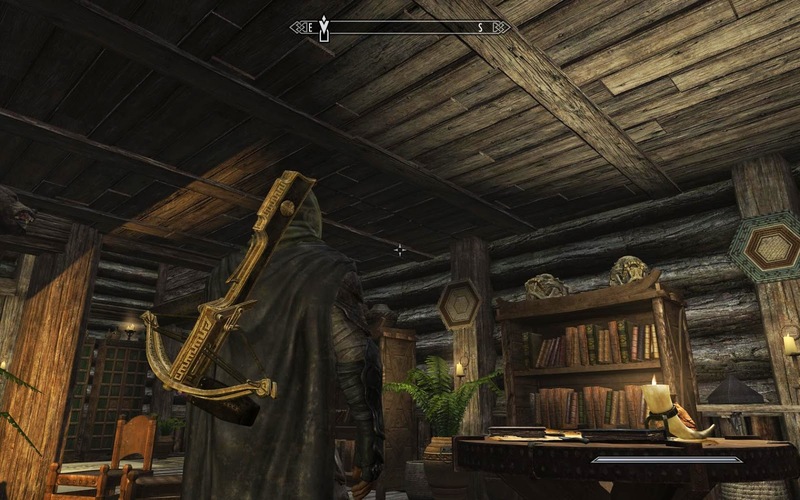 The same as a Daedric Bow! And the Enhanced Dwarven Crossbow the best crossbow you could get had a base damage of 22 with is two higher than the Dragonbone Bow! What’s more is that they fire faster and together with the power shot perk can stagger opponents 75% of the time and the enhanced variety ignore 50% armor! Man I almost threw away my Dragonbone bow lol but of course bows are still much more quiet and the bolts themselves do less damage then arrows offsetting the damage of the crossbow which is probably what evens them out, but nevertheless I started out on the quests and went hunting. The quests didn’t take very long as I was only just doing that and some others, was kinda sad I couldn’t use the crossbow more really as I spent most of my time saving bolts and cutting people’s throats which with a maxed out Stealth tree is child’s play, you can seriously stand right in front of some people and they don’t even see you, of course wearing the Nightingale Armor does help too. 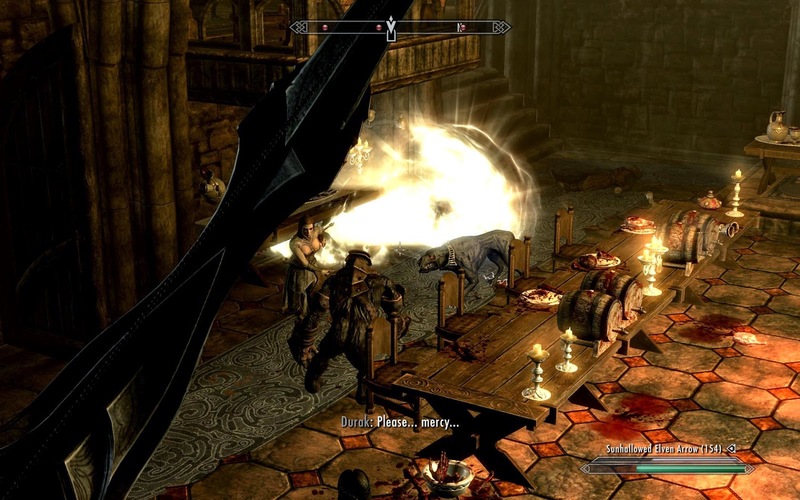 So I did the quests, slit the throats of lots of bandits and shot the rest full of crossbow bolts (some exploding which is kind of funny to watch) and goy my Enhanced Dwarven Crossbow which I wasted no time upgrading and enchanting and made a couple of hundred bolts to use with it. I then continued on with the Touching the Sky, killing two Dragons in the process and getting to Auriel’s Chapel and defeating Vrythur and finally obtaining Auriel's Bow in which Knight-Paladin Gelebor returns and offers to turn any Elven Arrows into Sunhallowed Arrow. An offer which I accepted and I happily ran back to my “Lodge” and started my delicate work of upgrading the bow and making elven arrows of course, of course the delicate work is basically grinding the same sword on the grindstone and this somehow upgrades the item you have of course I drank plenty of Blacksmiths Draught and put on my Silver-Blood Family Ring of course and in the end it was finished! I do wonder what my wife though about me coming home with a woman, though she always stays upstairs. I then shlecked off back to Gelebor and he turned a whole stack of my Elven arrows into sunhallowed ones. 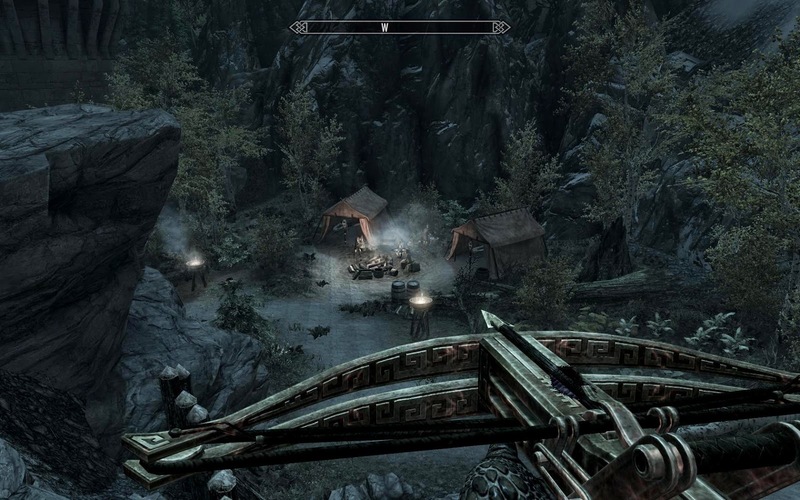 The reason I was going mad crazy about this bow and arrows and not the crossbow and bolts was in preparation the final quest where Isran rallied the Dawnguard and we made another epic trek to Castle Volkihar to end the Vampires once and for all. This raid was probably the best castle attack I’ve ever done, much better then any Imperial or Stormcloak castle raid, I basically just shot sunhallowed arrows like a madman which were pretty epic as they do triple damage to undead and make a sunlight explosion when they hit hurting other vampires and sending objects flying. The scene when we burst into the main hall was pretty chaotic with armoured trolls rampaging about and weapons, spells and crossbow bolts flying everywhere. But eventually we cleared em all out and confronted Harkon in the Cathedral. The fight with Harkon was pretty straightforward I used Call of Valor and the Sanguine Rose a couple of times in the fight so I had the 3 of us fighting Harkon as well as Serana. It was easy to finish him off as the sunhallowed arrows broke his healing shield and we brought him down fairly quickly, the only hard part was he moved around all over the place. Oh you bet I do. So that was that, I did regret the fact that I forgot to shoot a sunhallowed arrow at the sun while we were outside but meh it all worked. I guess I enjoyed this one petty well but was sad that I was not able to use things like the Crossbows and Auriel’s bow for long but I suppose I could have done this whole questline while playing the main game through. Well almost done with these bring on Dragonborn! Course I do have to go back and see what it's like as a vampire at some point. She ain't gonna turn for you buddy, you messed up, dang!